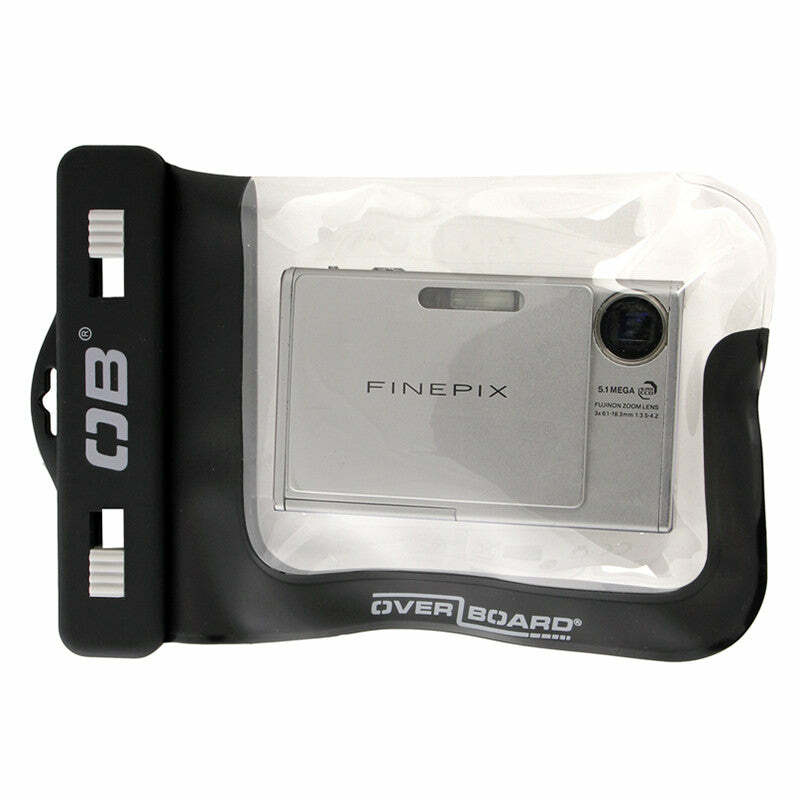 Transform your compact camera into an underwater model with the OverBoard Waterproof Camera Case, guaranteed submersible to 19ft / 6m and offering protection from sand and dirt as well. Perfect for water-based snaps or sandy beaches, this waterproof camera case is also compatible with camera phones and allows you to get really creative with your photography without soaking your gear. The Lenflex front and rear windows allow you to take ultra clear photos while your camera is safely sealed inside the waterproof camera pouch thanks to our 100% waterproof Slide Seal Systemª. The handy wrap around window design also allows easy access and full use of all your cameras buttons and functions.